Nathan Schroeder was born and raised in Warba, Minnesota. He graduated from Mesabi Range Community and Technical College in 1999 as a maintenance mechanic. He as worked as a millwright in Local 1348 for the last sixteen years or so. Nathan was introduced to mushing at the age of twelve, when he was given a ride at an elementary school behind a team of malamutes. Nathan has three children: Gavin, Sawyer, and Kinley. He enjoys fishing, fishing, and more fishing! Hard work, determination and persistence have been the key to Nathan’s racing success. While watching Susan Butcher cross the John Beargrease finish line as a 12 year old, he made up his mind that one day he would win the most prestigious race in the lower 48. 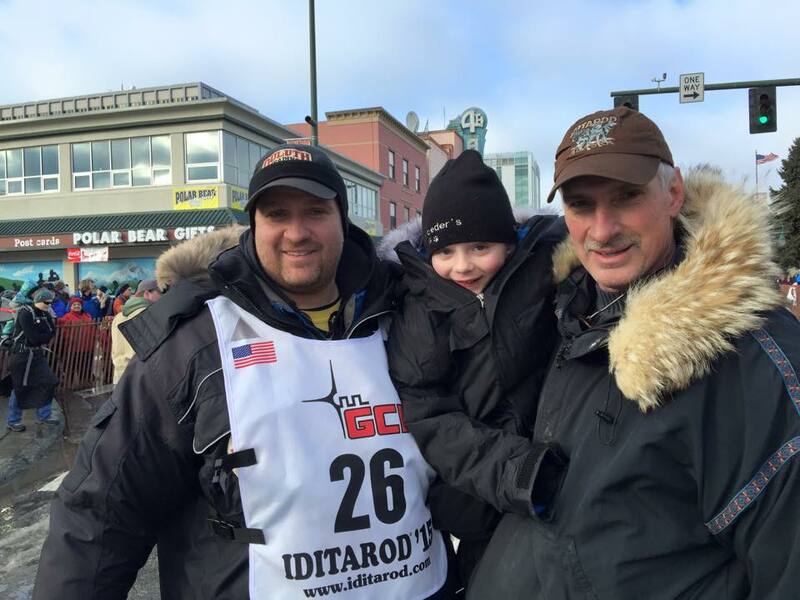 Now as a father of three, Nathan has achieved that dream, winning the Beargrease three times. He has also finished the Iditarod twice, including rookie of the year honors in 2014. Along with his kennel of 36 athletes, Nathan has a newfound focus and determination to improve on his showing this season. Without a huge support group of family, friends, fans and sponsors, Nathan knows none of this would have been possible!